The availability of online payment apps spares most people from carrying cold cash in their wallets. Aside from being convenient, this payment option will make you feel safer and more secure. All you need is payment cards in purchasing things that you want. By using mobile payment solution, your cards can earn rewards or even get entries to contests. The breakthrough of this technology allows people to use an effective payment system. Instead of carrying heavy and thick wallets, your Smartphone will be your access to make purchases and payments. 1. 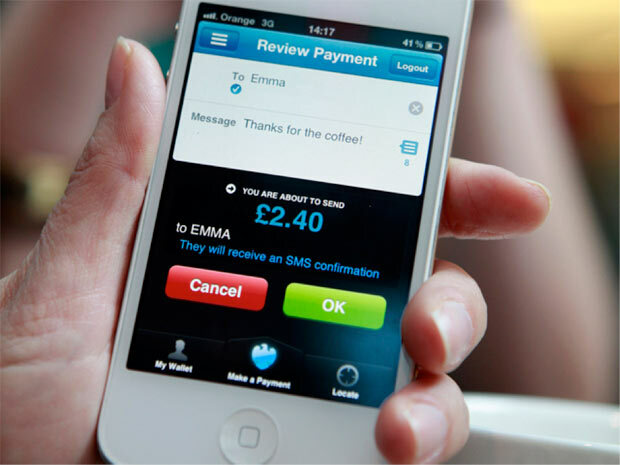 Apple Pay – This mobile payment app was introduced by Apple using NFC or Near Field Communication technology. People with iOS devices can use this payment app in making transactions in different banks supporting Apple Pay. 2. Google Wallet – Obviously, this payment system was a product of Google designed for online and in-store payments. Users can also send money via Gmail attachments. It is safe to use Google Wallet as it is FDIC-insured. 3. Loop Pay – This mobile payment app works with both debit and credit cards. Once you have the Loop Pay Smartphone case and downloaded the app, you can easily add the cards to your phone. This app uses Magnetic Secure Transmission technology and can be used at payment terminals. 4. Venmo – It is owned by Braintree that is commonly used with millennials. You can use this mobile payment solution making payments through email or phone number or link a debit card or bank account instantly. 5. Square Cash – This is another convenient way to send and receive money electronically. It is an efficient solution for businesses in accepting debit card payments. 6. Dwolla – By using Dwolla, an individual need not use debit or credit cards in requesting, sending and accepting money. Payments can be made via Dwolla ID, phone number or email. This online bill payment app can be used for Androids, Windows Phone, and iOS. 7. Tilt – A popular payment app with millennials that combines crowd funding with peer-to-peer payments. Businesses can use Tilt for group payments. 8. Level Up – This is designed for the restaurant industry, and it supports online bill payment for Android, iPhone and Windows Phone by just scanning the QR codes of the customers on Smartphone’s to process the transactions. 9. Tab – People who love dining out must download this payment app. There’s no need to wait for the receipt after you’re done eating because it will be emailed to you. 10. Block chain – It is designed as a Bit coin wallet that allows the user to use and keep Bit coins in a convenient and secure way. You can also use the Block chain wallet in identifying local businesses accepting Bit coin. Through those cashless payment apps, purchasing items can be done a lot easier. You can shop around without the need of bringing along cold cash and being bothered about your security. Shopping nowadays can be done simply through cards and the most convenient of all the online payment apps that can be downloaded on your Smartphone’s.